Children below 4 no charge. 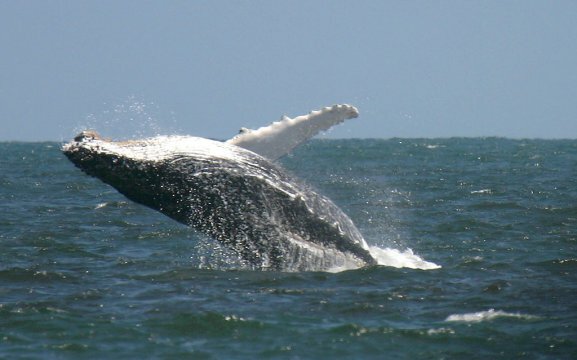 Mola Mola Safaris is based in Walvis Bay, on Namibia’s spectacular desert coast. 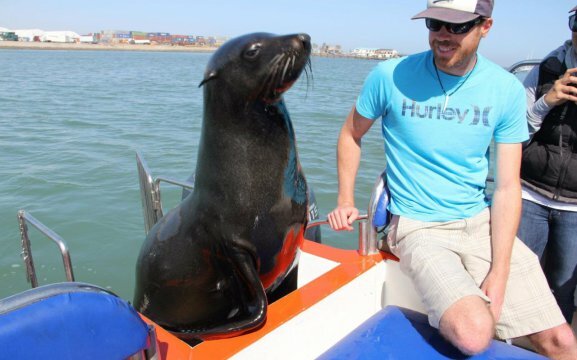 We specialize in giving our guests an unforgettable experience and unique view of the abundant marine life and rich waters of our Atlantic Ocean. 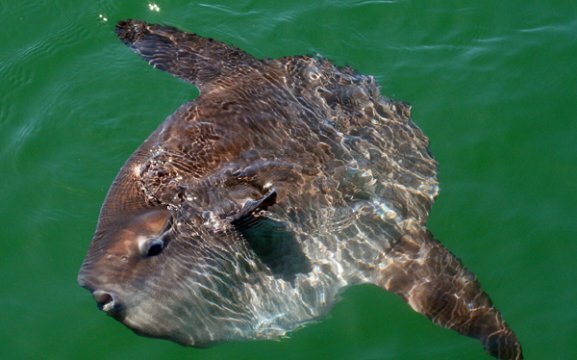 Join Mola Mola Safaris for a marine & dolphin cruise, or add a 4×4 trip through the spectacular Namib Dunes to Sandwich Habour. A great adventure. Included as part of the tour – a delicious light lunch fresh Walvis Bay oysters, drinks, sparkling wine and our famous Namibian hospitality. 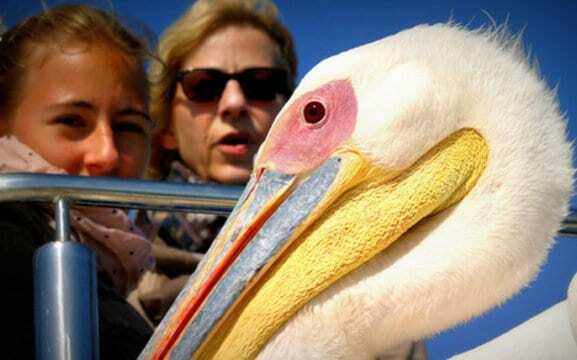 We will take you to the lagoon, where you will find seals, flamingos, cormorants and pelicans. We also have common sightings of the White Chinned Petrel, Wilson’s Storm Petrel, Black Oystercatcher, the Jackass Pengiun and the Cape Gannet. 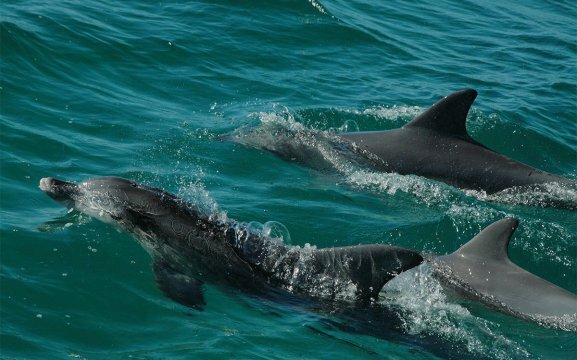 From there we head to the Pelican Point, having Heavyside and Bottlenose dolphins swimming alongside the boats, Leatherback Turtles and whales. 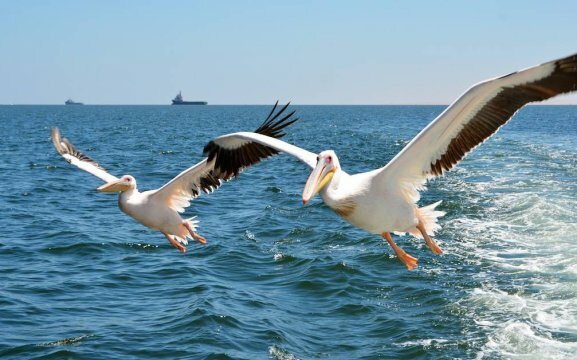 At Pelican Point we will visit the oyster farms, the Walvis Bay harbour and the Lighthouse. 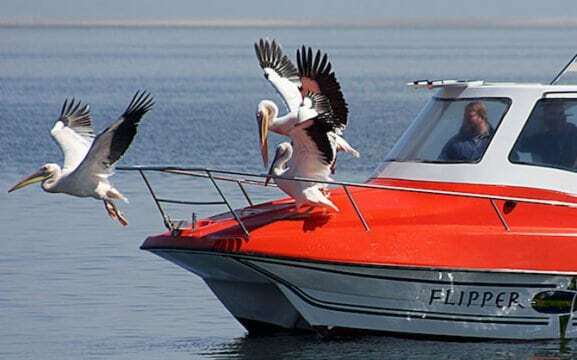 Our three traditional Catamaran and Speedboat Catamarans can accommodate up to 80 guests, with lots of seating space and never overcrowded vessles – we have a cabin area, comfortable seating and toilet facilities on board. Enquire about our adventurous 4×4 Sandwich Harbour trips.